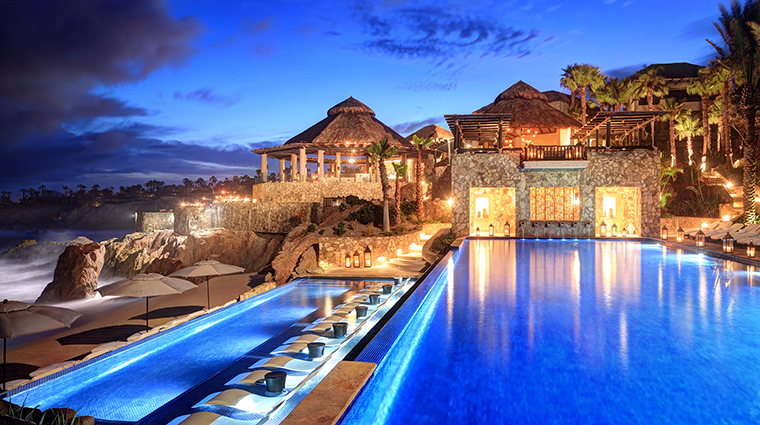 If you’ve ever wondered what it’s like to live like a celebrity while on vacation, Cabo San Lucas’ Esperanza, Auberge Resorts Collection should give you a taste of the good life. 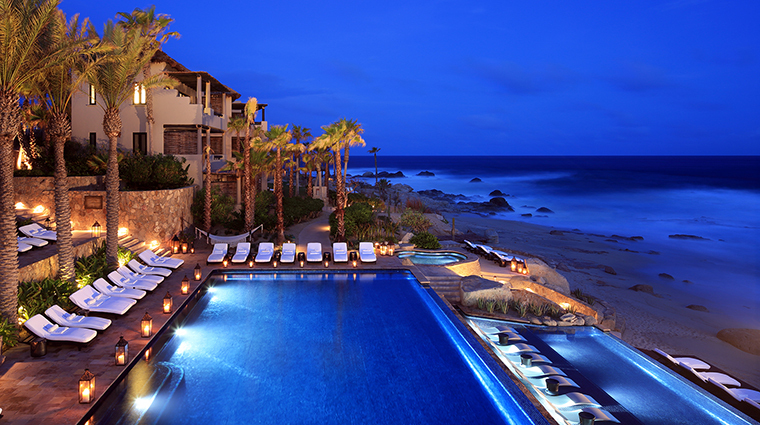 Fresh from a top-to-bottom revamp after 2014’s Hurricane Odile, the resort has emerged better than ever. 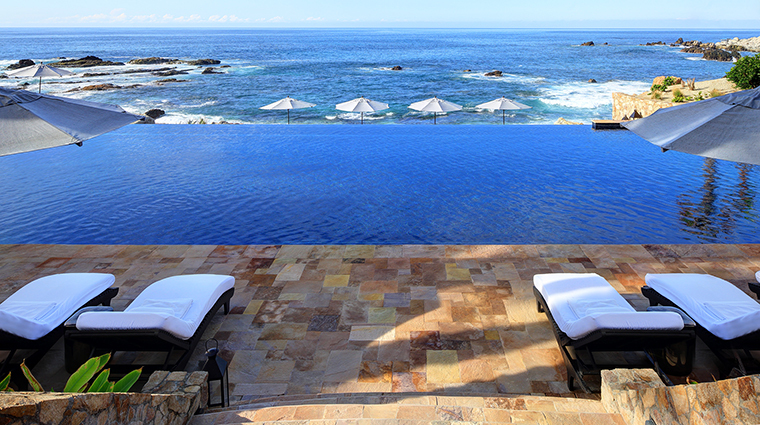 Returning guests will love that some of the major features — like the multi-tiered oceanfront pool — are much improved. 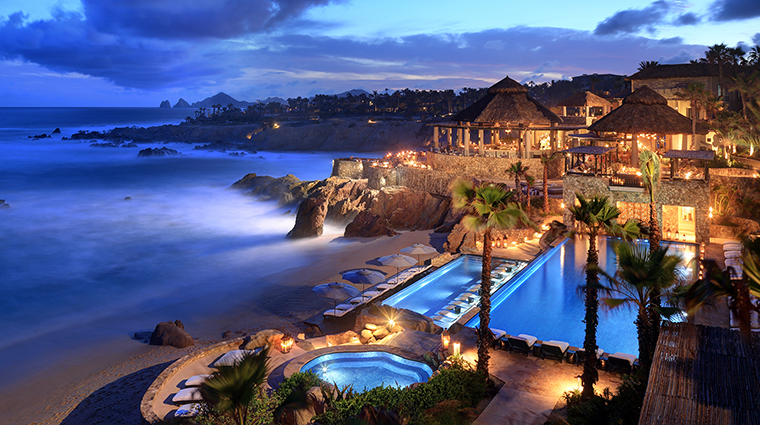 They also can breathe a collective sigh of relief that standouts like the palapa-topped spa and the gorgeous tiered cliffside Cocina del Mar restaurant remain much unchanged. 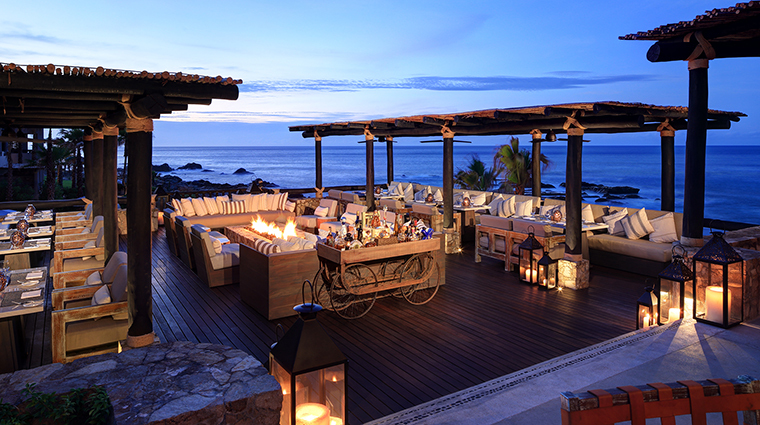 Perched on the hillside of Punta Ballena (What’s Point) just 15 minutes from downtown Cabo San Lucas, this 57-room hotel has hosted countless stars (Leonardo DiCaprio, Jennifer Aniston) and luxury seekers alike. 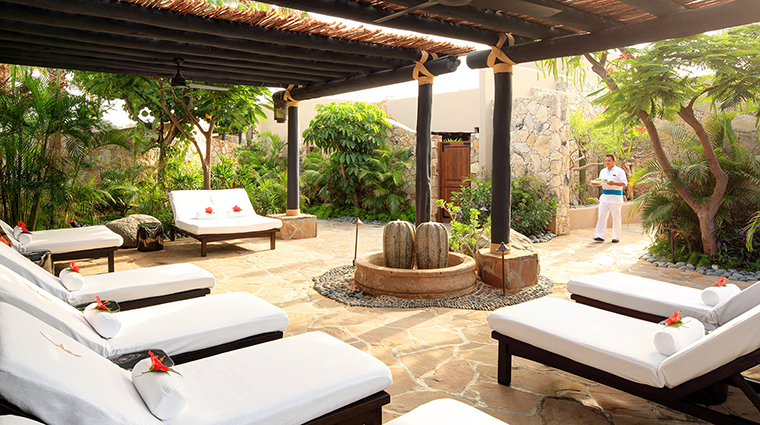 You’ll no sooner have selected the ideal chair at the azure-blue, multi-tiered pool before a staffer sets up your towels and brings you citrus-infused water. 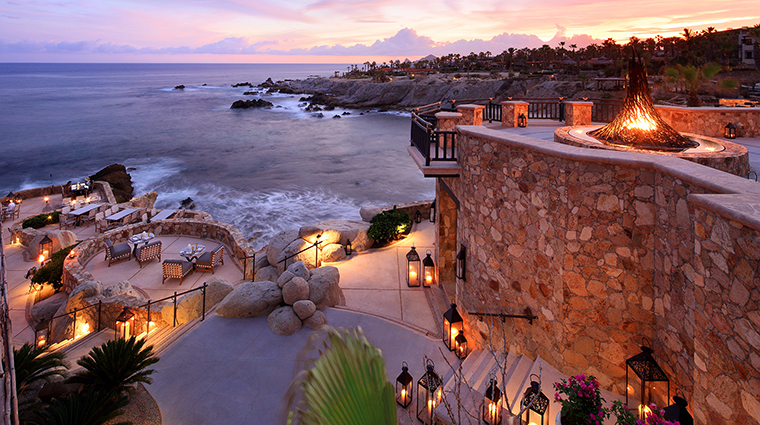 From there, your every need is just a wave away, including gratis foot and neck massages. 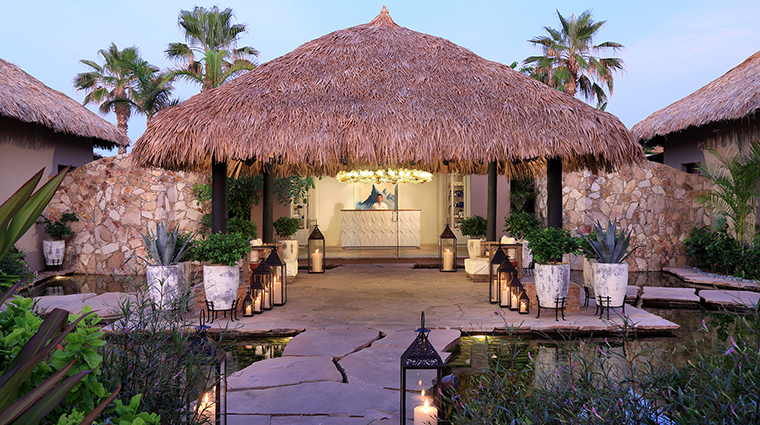 A short stroll from the main check-in area, the Cabo San Lucas hotel’s spa blends seamlessly with the indoor/outdoor vibe of the resort with a palapa-topped welcome structure and koi pond. Another way to revitalize? 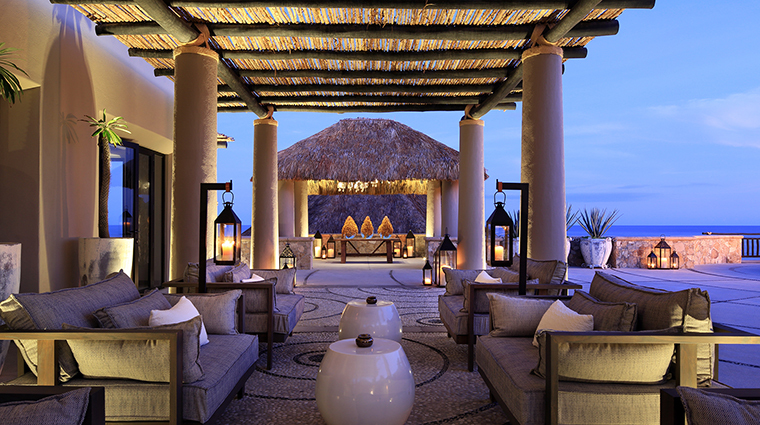 Join one of the free classes (yoga, TRX, Beach Bootcamp) or shop the spa’s well-stocked boutique with stylish athleisure wear and take-home products in the resort’s signature scent, an irresistible Baja lime. 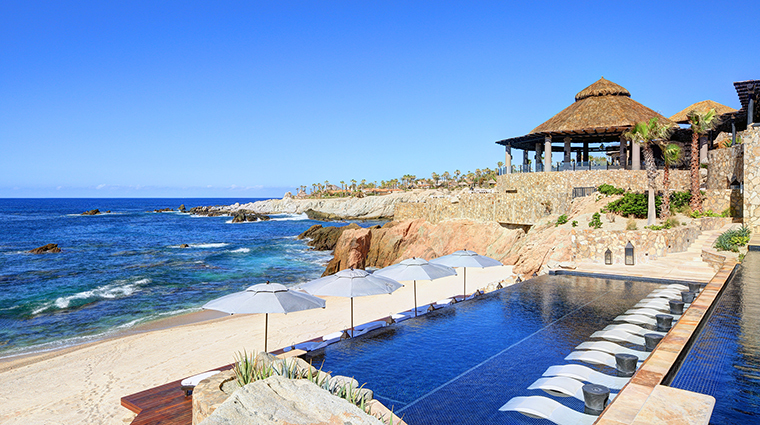 You’ll enjoy stunning ocean views from almost everywhere within the hotel—from your bright and airy room to infinity-edge pool and even at the signature cliffside restaurant. 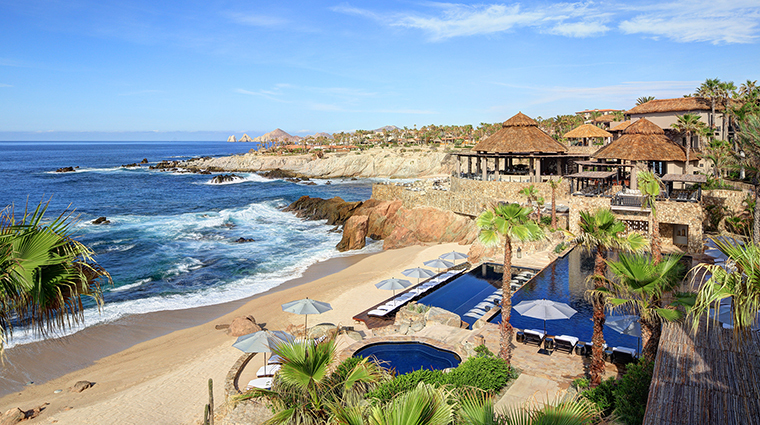 The Sea of Cortez’s shores are rocky and the waves unpredictable, so Esperanza’s private beach is more suited for walking or lounging (in a private palapa-topped cabana, of course) than for swimming. 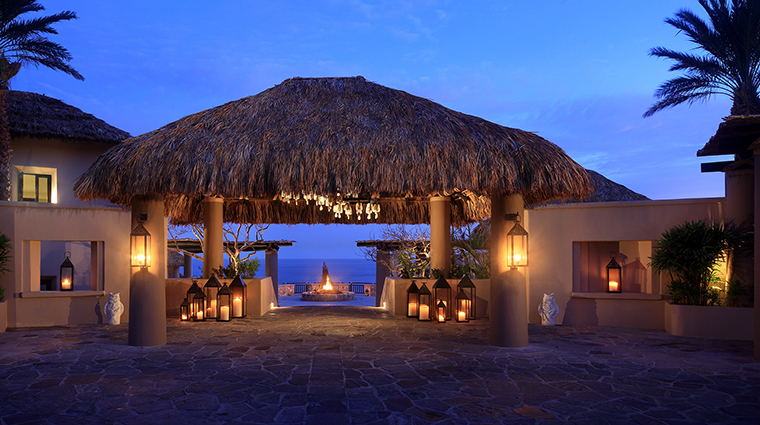 Expect indulgent spa services that are locally inspired, including the Esperanza Tropical Essence Massage, a customized treatment with a variety of modalities and essential oils, and the soothing Aloe Glaze Skin Soother wrap and creamy coconut baths that help restore moisture to sun-dried skin. 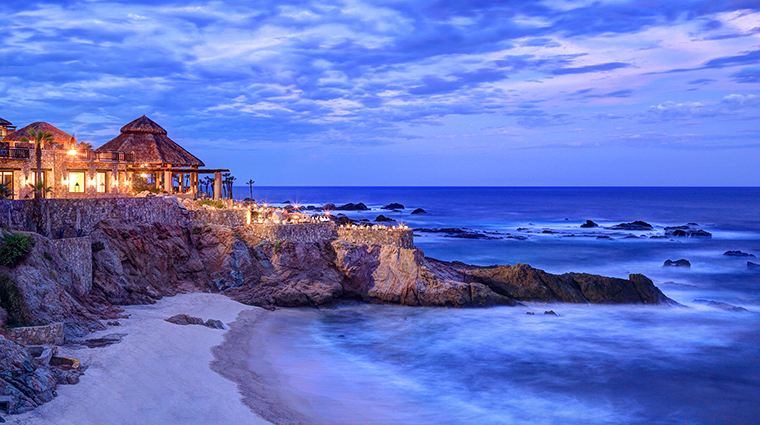 When dining at Cocina del Mar, request a table as close to the ocean’s edge as possible and bring a wrap — you might just get sprayed by a passing wave. 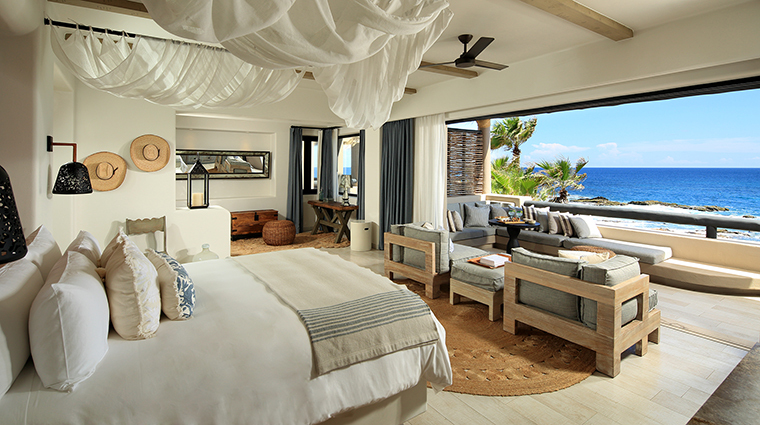 Inspired by the rocky cliffs and rich blue ocean, the newly renovated guest rooms have gray-washed wood floors, light driftwood accents and hand-woven palapa roofs, with original Mexican art and hand-tooled leather furnishings to lend pops of color and a rich local feel. 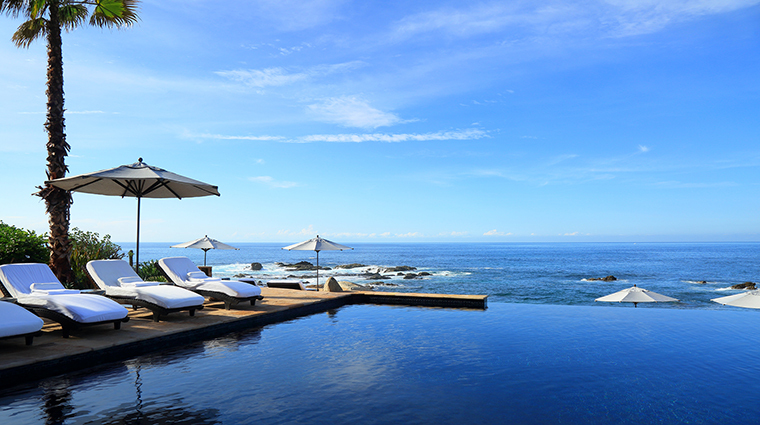 The rooms are spacious, and all offer private balconies with plunge pools or hammocks, as well as spectacular ocean views. 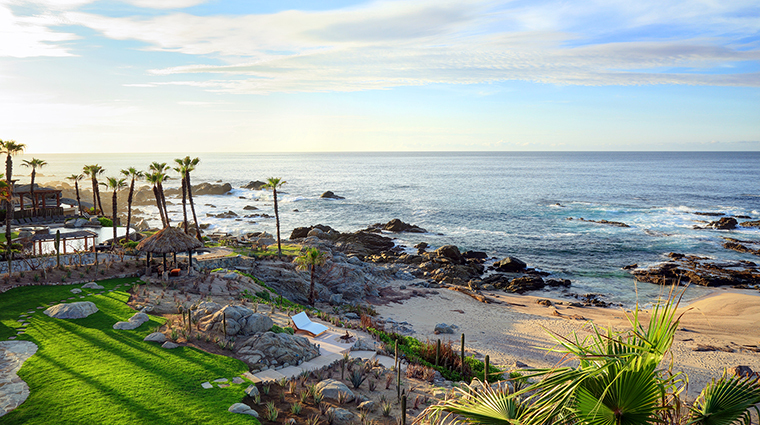 The resort itself is perched on a hillside overlooking a private beach, so each room, no matter the category, feels intimate and private. 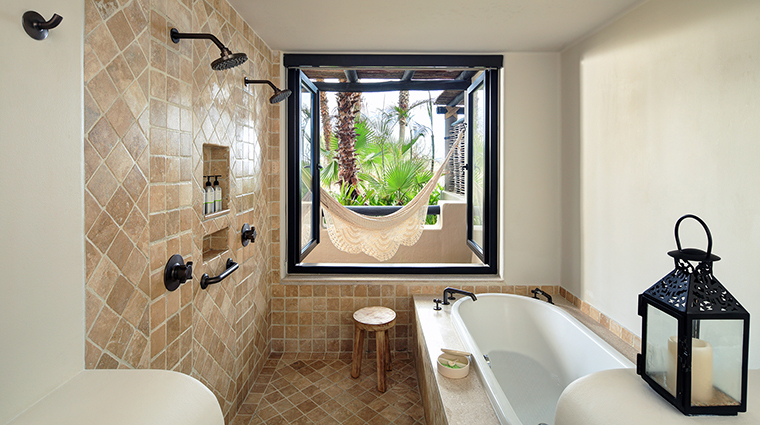 You can’t go wrong with the Beachfront Junior suites, which offer the best views of the Sea of Cortez, as well as 1,200 square feet of indoor/outdoor living space and infinity-edge hot tubs. 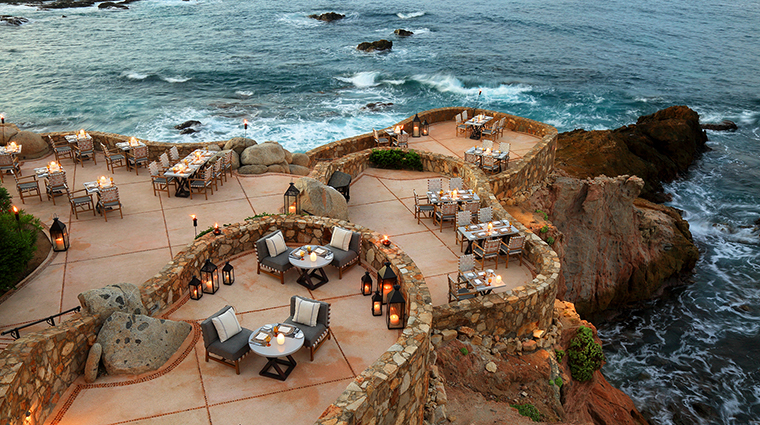 Perched on top of cliffs, the luxury hotel’s signature Cocina del Mar is, without a doubt, one of the most beautiful settings you can imagine. 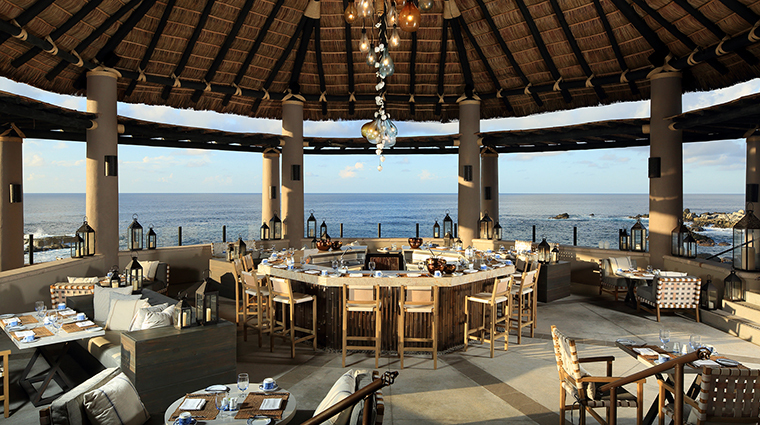 The seafood-driven dishes, which highlight the local bounty with continental and Mexican influence, are served in a tasting menu format (and you’ll be the better for it). 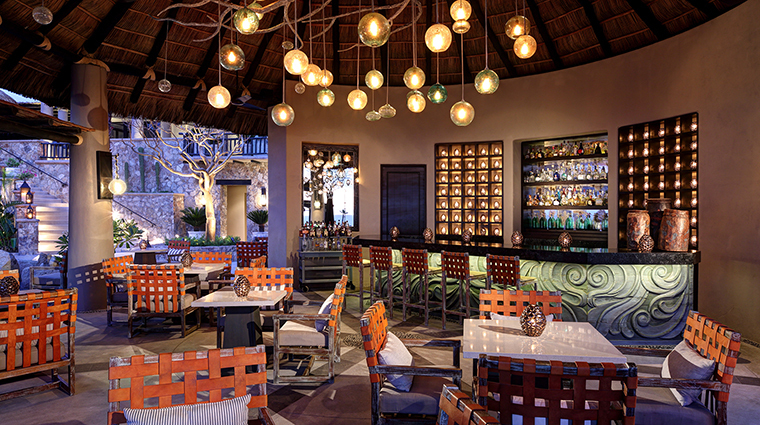 The more casual outdoor Pesca Ceviche Bar is the resort’s newest dining option and features — you guessed it — several varieties of ceviche plus additional small but flavorful seafood dishes. La Terraza Americana serves up lighter American fare, and La Palapa dishes out casual Mexican eats like tuna al pastor tacos and lobster fajitas.